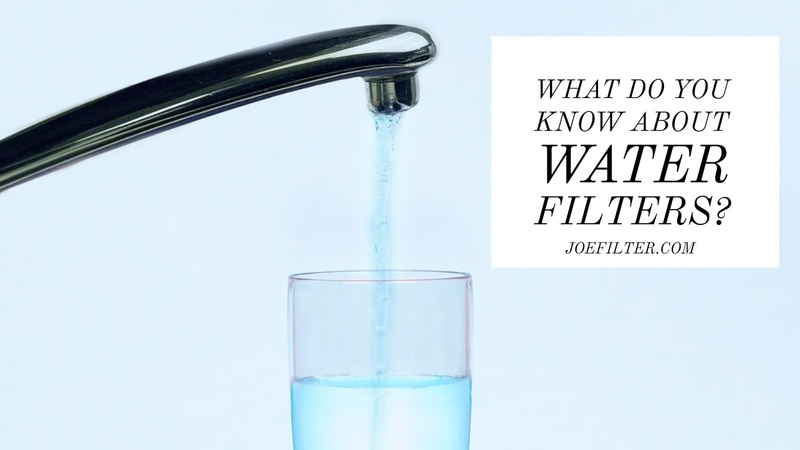 the Joe Filter blog: What are Sediment and Carbon Water Filters? There are variety of water filtration systems out there, from the under the sink RO, to fridge filters and even the portable water pitcher with a filter. No matter what system you use, most household water filters are either a carbon or a sediment filter. What are sediment and carbon filters you might ask? 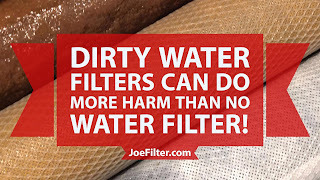 A sediment filter is a filter usually made from spun poly or cotton (as well as a few less common fibers), that is designed to remove sediment from your water (aka. dirt and other visible solids). A sediment filter will not filter out chemicals or affect the taste of the water however, that's where the carbon filter comes in. A carbon filters use positively charged or "activated" carbon to remove negatively charged impurities such as certain chemicals and volatile organic compounds (VOCs). Activated carbon filters using the process of adsorption. This is where pollutant molecules in your water become trapped inside the pore structure of the carbon. This allows the carbon filters to catch the majority of pollutants that the sediment filter cannot. How do I keep them working correctly? Its simple you just replace the filters before they go bad. Most manufactures recommend replacing your water filters every six months. This is because your filters are constantly submerged in water, capturing pollutants. After six months, your water filters can have bacteria growing within the filter media, as well as a variety of other gunk they have accumulated. Once your filters become too full (usually between 6 to 12 months) they can begin leaching the contaminants they collected back into your drinking water in higher quantities! Need help replacing your water filters? Ask Joe Filter for help!